Board of Revenue Khyber Pakhtunkhwa jobs announced 104 new vacancies in their department on 21 September 2018. 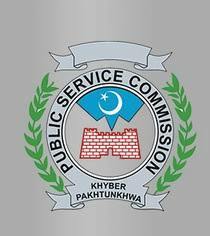 The candidates will find latest kpk jobs 2018 and the online applications from the interested candidates are invited from the candidates having domicile of Khyber Pakhtunkhwa for the following posts of the computer operators (BPS-16). The location of the jobs will be in the cities including Peshawar, Mardan, Bannu, Kohat, Dir Lower, Charsada, Haripur, DI Khan, Swabi, Dir Upper, Tank, Kohistan, Nowshera, Laki Marwat, Malakand, Torghar, Swat, Manshera, Shangla and Battagram. The candidates can check the advertisement, which is given below. The candidates should note the requirements and the qualification, which will be second class bachelor degree in the computer science and information technology (BCS / BIT four years) from any recognized university or the candidates must have at least second class bachelor degree from the recognized university with one year diploma in information technology from the recognized board of technical education. Interview call letters will be issued to shortlisted candidates. Incomplete applications and applications received after due date will not be entertained. Please check advertisement, which is given below and read advertisement carefully. You need to submit an online application form. You need to get the information, which is given in the advertisement below. The Exam will be conducted in districts including Peshawar, Mansehra, DI Khan and Swat. Deadline: The last date to apply for Board of Revenue Khyber Pakhtunkhwa Jobs is 10th October 2018.